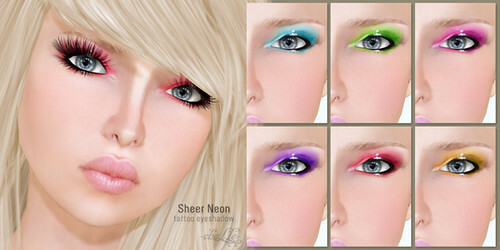 ✿ cheLLe ✿ Sheer Neon eyeshadows can be worn alone or layered to create different colors! Depending on how you mix and match these, you can create an even brighter look or a more muted look. OOh wow those look fantastic!! Got to have now!! lol. Oh great job ! A must have according to me ! It looks awsome. The mixing idea is really interesting, to create other colors. I shall say I love the glossy look on these!